(Nanowerk News) When someone crumples a sheet of paper, that usually means it’s about to be thrown away. 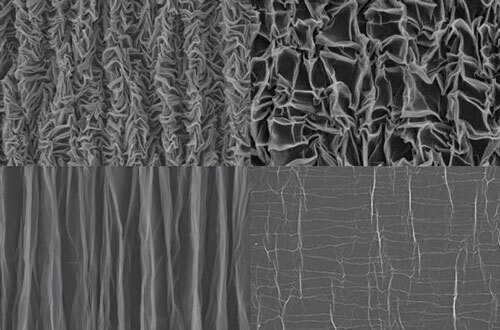 But researchers have now found that crumpling a piece of graphene “paper” — a material formed by bonding together layers of the two-dimensional form of carbon — can actually yield new properties that could be useful for creating extremely stretchable supercapacitors to store energy for flexible electronic devices. 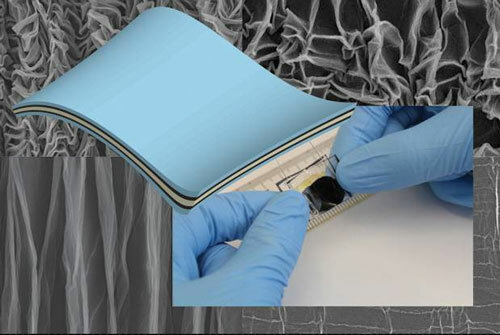 The finding is reported in the journal Scientific Reports ("Stretchable and High-Performance Supercapacitors with Crumpled Graphene Papers") by MIT’s Xuanhe Zhao, an assistant professor of mechanical engineering and civil and environmental engineering, and four other authors. The new, flexible superconductors should be easy and inexpensive to fabricate, the team says.